I was inspired by … the magnificence of a Clumber enjoying the full delights of life. This is a composite of many dogs and does not reflect a specific individual. 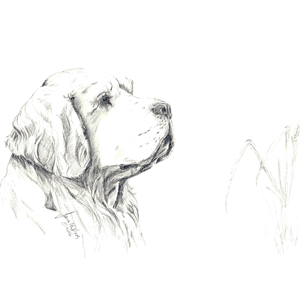 This work was specifically executed for the 2016 Clumber Spaniel Club of America Rescue and Placement Committee Fundraiser.